Misty Massey is the author of Mad Kestrel, a rollicking adventure of magic on the high seas, Kestrel’s Voyages, a collection of short stories featuring those rambunctious pirates, and the upcoming Kestrel’s Dance. She is a co-editor of The Weird Wild West and Lawless Lands: Tales of the Weird Frontier, and was a founding member of Magical Words. Her short fiction has appeared in many anthologies and she’s working on a series of Shadow Council novellas for Falstaff Press featuring the famous gunslinger Doc Holliday. When she’s not writing, Misty studies and performs Middle Eastern dance and will, on occasion, surprise everyone with a batch of home-baked snickerdoodles. She’s a sucker for good sushi, African coffee, SC Gamecock football, and the darkest rum she can find. You can keep up with what Misty’s doing at mistymassey.com, Facebook and Twitter. Misty Massey was nine years old when she sat down and wrote four pages in longhand of an original story in which James West and Artemus Gordon of The Wild, Wild West chased a brilliant young jewel thief called the Black Fox. It was a perfectly dreadful example of a Mary Sue story (because, of course, Misty was the Fox). Misty has often thought she should have gotten the credit for inventing fanfiction. While she still has the pages tucked away, there’s no amount of money that might tempt Misty to share them publicly (at least, not enough that’s been offered yet! ), but this is concrete proof that Misty wanted to make up stories for life. Misty spent the next twenty years crafting short stories and sending them out to small-press magazines, collecting rejection slips, and occasionally succeeding in selling one for copies. Eventually she honed her skills well enough that someone paid her real money for her work. 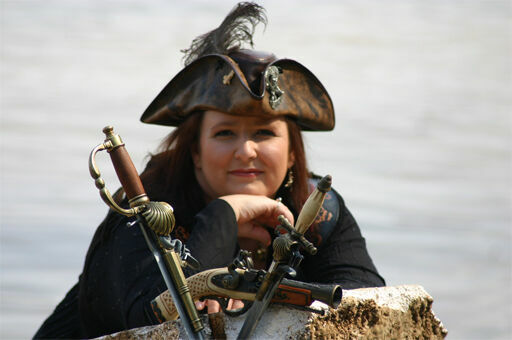 These days she is the author of Mad Kestrel, a rollicking adventure of magic on the high seas, Kestrel’s Voyages, a collection of short stories featuring those rambunctious pirates, and the upcoming Kestrel’s Dance. 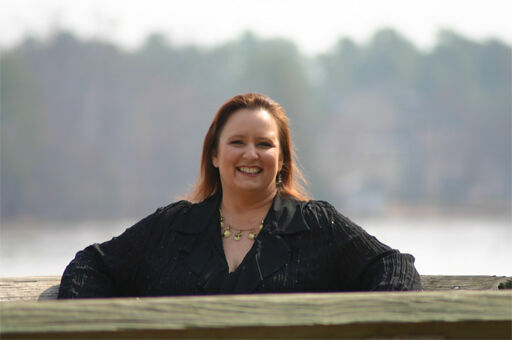 She is a co-editor of The Weird Wild West and Lawless Lands: Tales of the Weird Frontier, and she is a founding member of Magical Words, the well-known blog for writers, and a contributor to How To Write Magical Words: A Writer’s Companion. Her short fiction has appeared in many anthologies, including Dragon’s Lure, Rum and Runestones, Cinched, and the Rogue Mage anthology Triumphant, and she’s working on a series of Shadow Council novellas for Falstaff Press featuring the famous gunslinger Doc Holliday. When she’s not writing, Misty studies and performs Middle Eastern dance, and has been a member of several troupes around the Charlotte NC area (if you’re from around here, you’ve probably seen her at the Carolina Renaissance Festival!) She has made a name for herself as a genius cookie-baker, and will, on occasion, surprise everyone with a batch of home-baked snickerdoodles.She’s a sucker for good sushi, African coffee, SC Gamecock football, and the darkest rum she can find. You can keep up with what Misty’s doing at mistymassey.com, Facebook and Twitter.